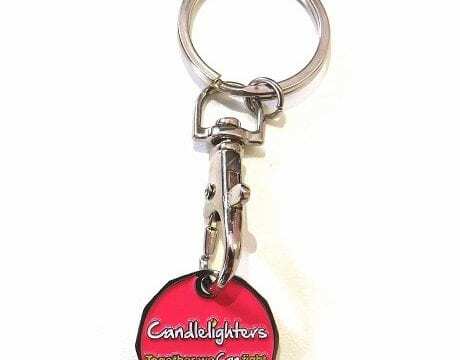 Show your proud support for Candlelighters and spread awareness wherever you are with our branded products. 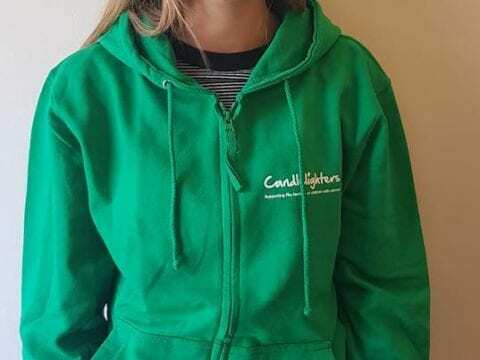 Brand new for 2019- ideal for walking, running and cycling! 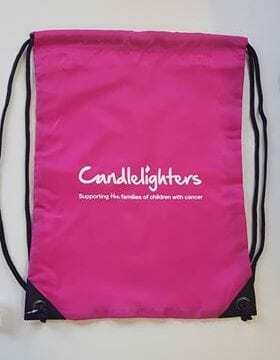 One size Candlelighters Pink Drawstring Bag – perfect for all ages! 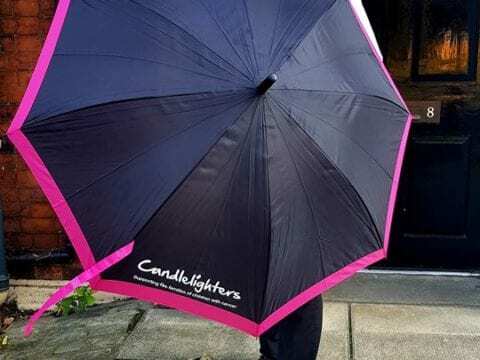 Modelled by the super Brian, our snazzy black and pink umbrellas are now available! 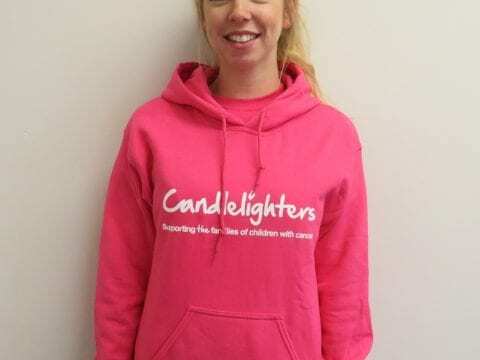 Adults and childrens Candlelighters branded pink hoodie. 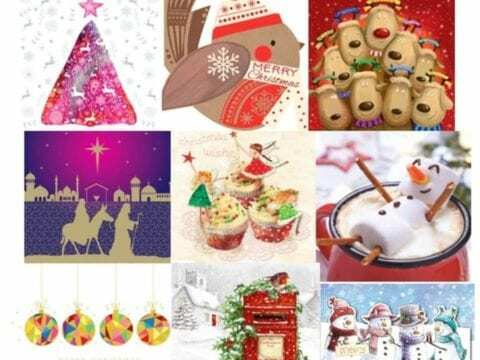 For large orders please call 0113 322 9283. 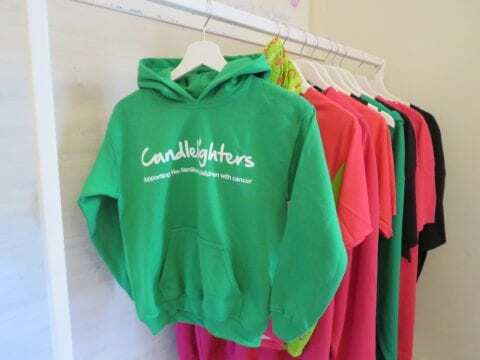 Adults and childrens Candlelighters branded green hoodie. 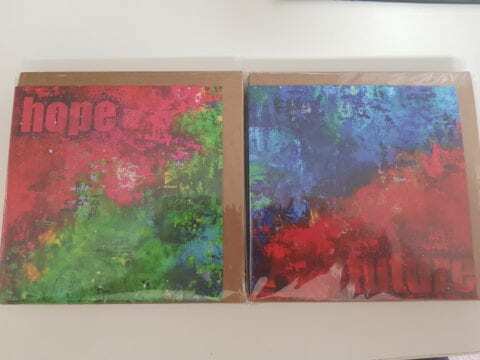 Hope & Future pack of 12 cards with envelopes. 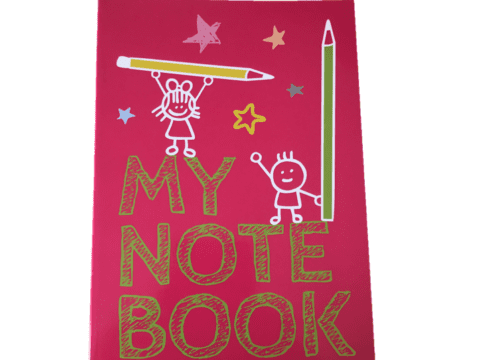 Blank for your own message. 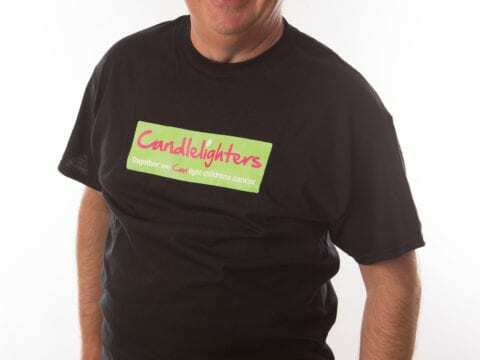 Black Candlelighters T-shirt with green banner. 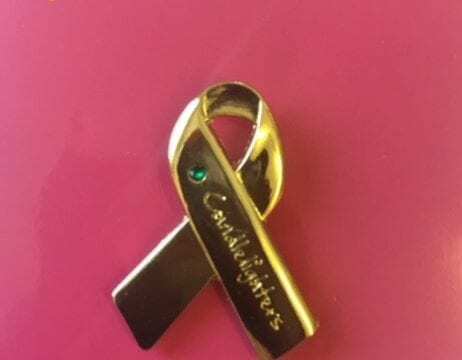 show your support for Candlelighters during Childhood Cancer Awareness Month by wearing one of our new gold ribbon badges with green diamante. 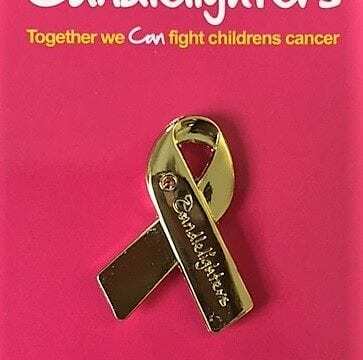 Show your support for Candlelighters during Childhood Cancer Awareness Month this year by wearing one of our new gold ribbon badges. 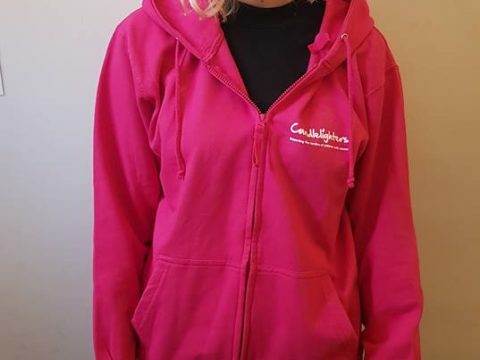 Ideal for running, walking, climbing and cycling. 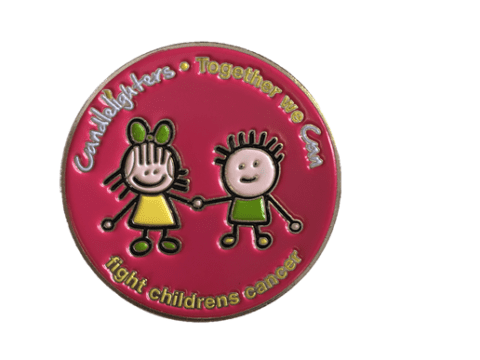 Wear it when you train for your challenge or at one of Candlelighters amazing events . 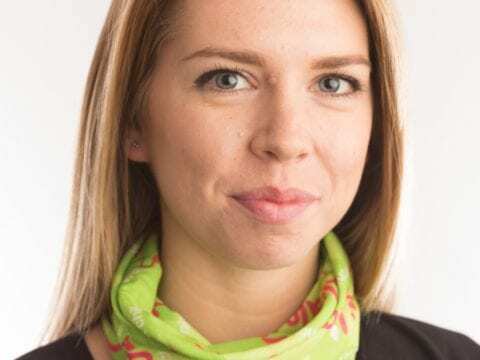 Professional technical neck buff that can be worn in winter to keep you warm or the summer as a headband. 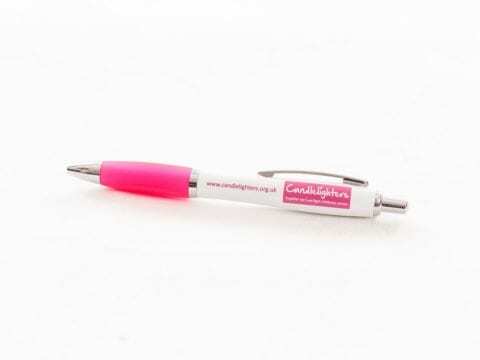 Ideal for running, walking, climbing and cycling. 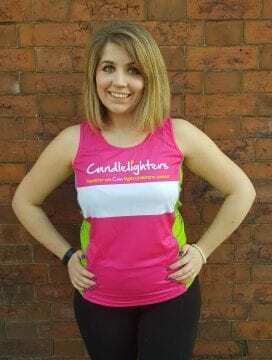 Professional technical sport top, available in XS to XXL. 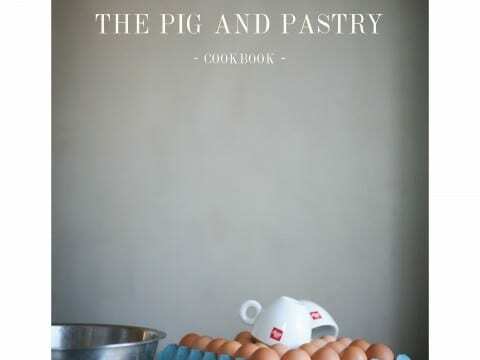 The first edition of The Pig & Pastry cookbook sold out in record time last year! Grab yours now before it’s too late. 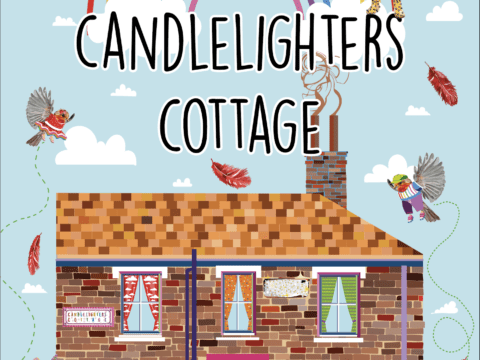 Creative games, activities and crafts to entertain children of all ages. 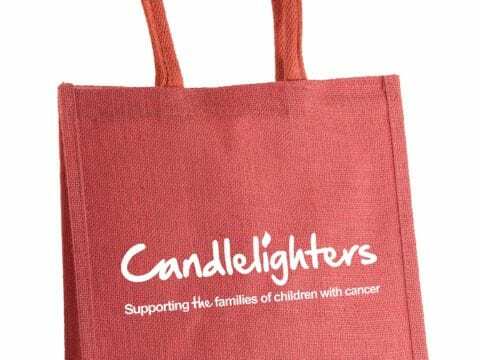 Proceeds from the sale of this book will be donated to Candlelighters. 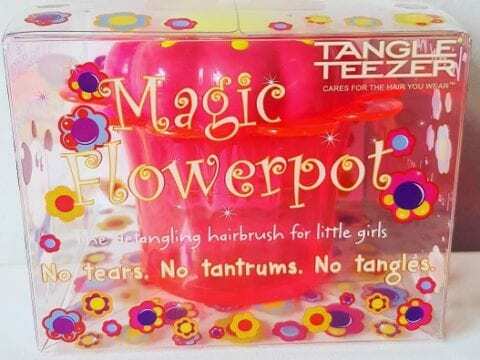 Limited stock available.